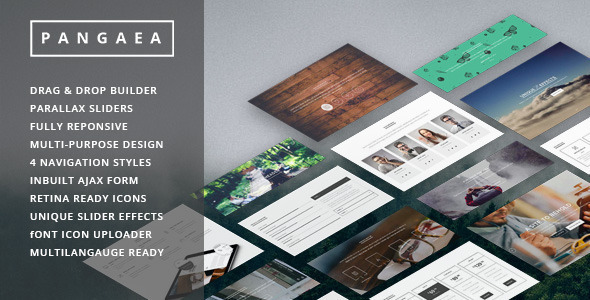 Pangaea is multipurpose, creative, corporate, responsive, clean WordPress theme for creative, corporate, photography, modern businesses, agency, blog, author, personal use. Pangaea is highly customisable theme with visual composer where you will get unlimited variations of layouts, tons of short-codes and elements. It’s created by using the latest HTML5 and CSS3 techniques in accordance with the latest WordPress Coding Standards.